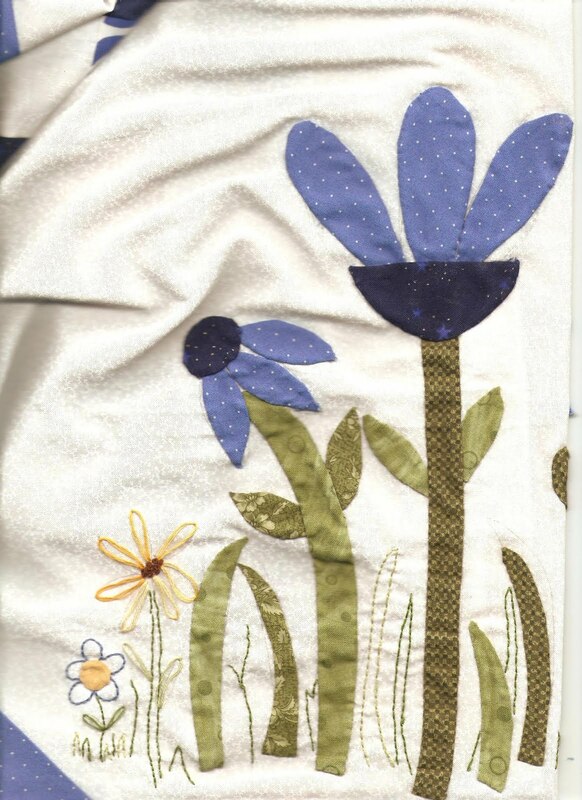 Here is a view of my quilt, with the center flowers. Your flowers are so adorable. I was wondering what the center looks like..love the flowers!